The design of the lighting in a house is an incredibly important decor element for both the interior and exterior spaces. 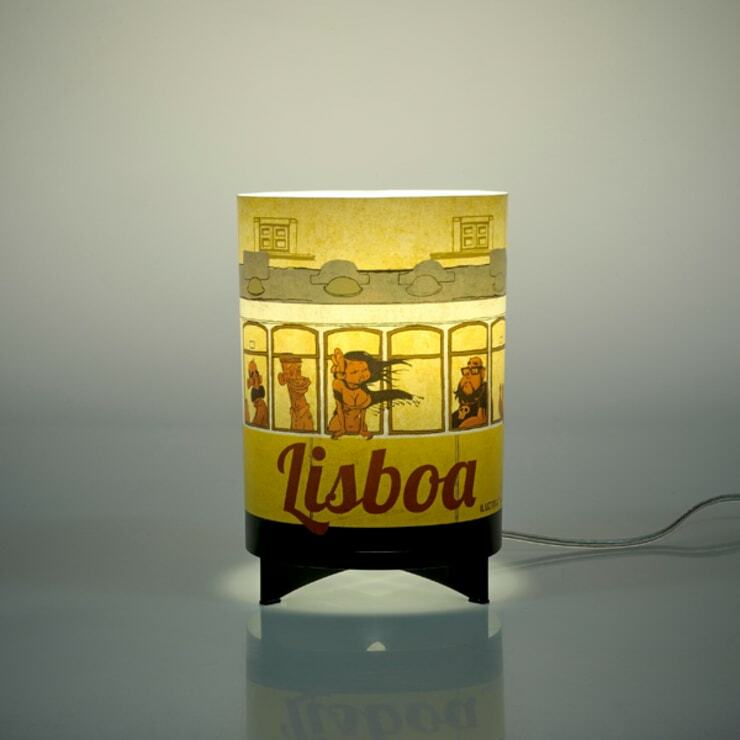 It sets different moods around the house and creates visual effects throughout. With a modern, minimalist, rustic or even vintage design, lighting is designed to provide unforgettable moments of leisure. 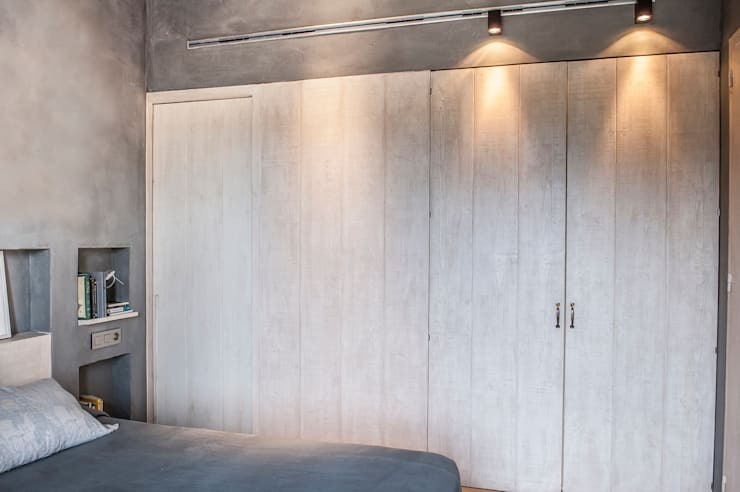 In this article, we show you some original ideas that will serve as inspiration for your day-to-day home design as some of our top professionals show off their best tricks when it comes to artificial lighting. Once you know what to look for when it comes to the aesthetics of lighting, your eye for detail will improve. And if you're keen on creating the ultimate in comfort and style for your home, then this article is just right for you. Let's get inspired with these ideas and put them into practice so that you can have the most unique decor in your home! Artificial light in the interior of your home is a feature that you should pay close attention to because you can create all sorts of different environments in one space. 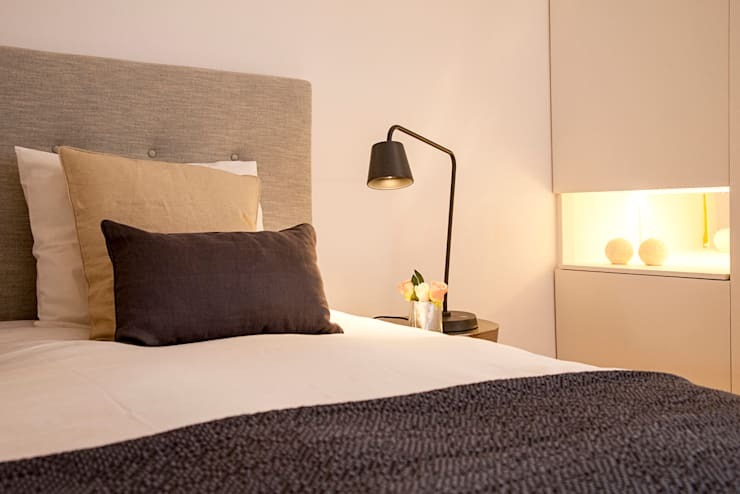 Use soft lighting to create a cosy atmosphere in your room. Use lamps to highlight the beauty of your desk or furniture in the corner of the room. Bedroom lighting can create a pleasant atmosphere and a wonderful ambiance that will be noticed by every single person who visits your house. It is also sure to soothe you after an intense day at work! For all areas in the house, it is important to know where the main focus of light should be. For example, if you have an elegant, creative and original table in the dining room, you want to ensure that the lighting illuminates it. You want it to be the epicentre of the whole room. 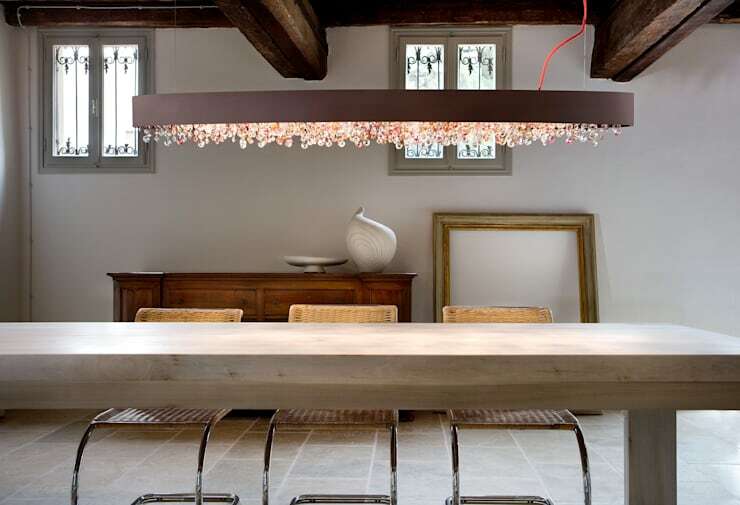 Check out this fantastic range of dining room lighting for inspiration—you'll see exactly what we mean! Lighting may be an advantage in all kinds of spaces and can even add décor and design to a room. See how this quirky and trendy light, by Italian Lights & Furniture, adds a design element above the dining room table in this picture? By adding lighting to the side of a room or in the centre, you can really create a wonderful, tasteful interior space. 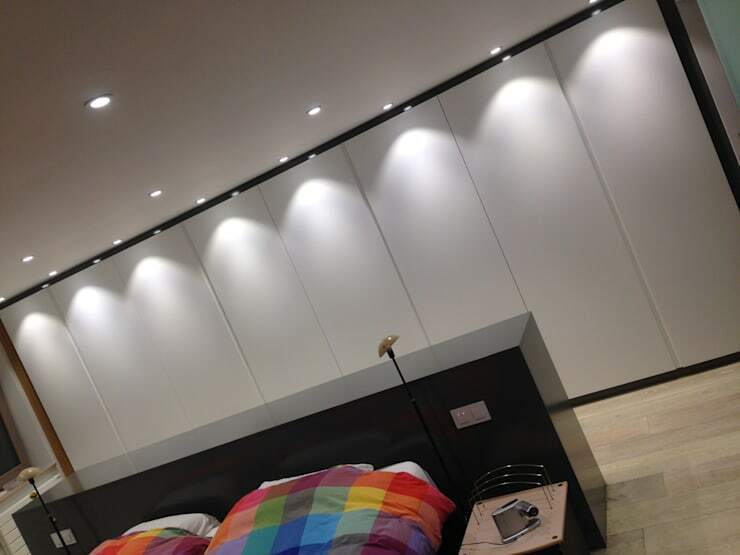 You can even include lights at the side of a room, to illuminate different aspects of the space. Remember that even if you have large windows and skylights, it doesn't mean that the house will be well-lit throughout the year. During grey and rainy seasons, artificial lights are needed! Including artificial lights along the cabinets, cupboards or closets in your home can provide the perfect balance of peaceful, soft lighting without it being too harsh or bright. It also gently highlights other elements in a space, creating a very warm and cosy atmosphere. Look at how the lighting works so incredibly well in this photograph with the other materials in the room, integrating them. The lighting has pulled all of the elements together, creating the room's very own aesthetic language. Lighting can contribute to increased performance and productivity and provide aesthetic balance in a room. This lamp, chosen by Gisbert Poppler Interior Architects is unique, original and aesthetically poetic and could work well in any room. Can't you picture it in a games room, media room or bedroom? 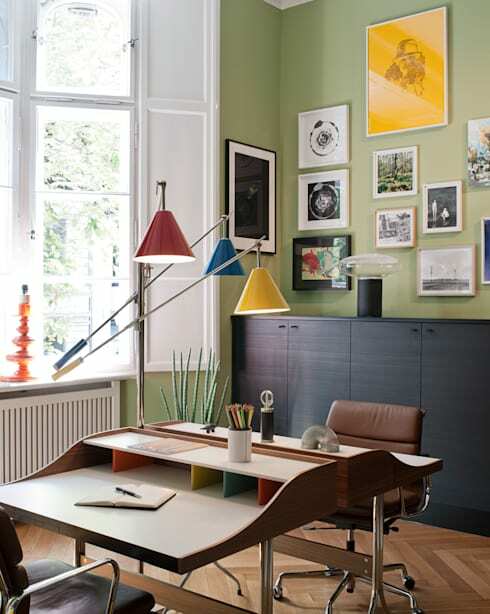 When it comes to a home office or a work space, a lamp should work well with the existing natural light, as these designers have done. Natural light and desk light should work in harmony, creating the perfect combination for interior lighting. The designers have ensured that the lights here work beautifully with the materials in this space, showing how elements can be integrated for the perfect effect. Don't you love how the glass lampshades spark in unison with the glass balustrades? Lighting by the stairs is the soft language spoken in interior design, enhancing the whole area. Lighting that follows on from each other can not only create a very functional design but it can also be incredibly aesthetically pleasing in a large area. In this photograph, we can see how perfectly this works, creating perfect pockets of light that enhance the furniture in the room. The entire space is illuminated, which eliminates shadows and dark corners in the room. Each corner and detail is clear here, showing the beauty of the room in its entirety. For more illuminting inspiration, don't miss these: Dazzling Lighting Ideas For Modern Homes. Have you been inspired to improve your home's lighting? Which of these ideas has made you rethink your décor? Let us know!